Blackjack players can get a piece of $160,000 worth of bonuses at Royal Vegas online casino in October. Real money 21 may give you a rush, but the Microgaming online casino is offering one of the sweet variety with their Sugar Rush promotion. Running until October 30, players can score up to nine bonuses by unlocking two levels, each day. To take part you need to be a member, so sign up to RoyalVegasCasino.com and make a deposit using the number of secure Aussie payment methods. You can then unlock the first level and receive your first treat. To unlock the next level, and receive instant bonuses why doing so, simply play your favourite Microgaming blackjack games available on the downloadable software or via your browser. As you play you will earn Rewards points and fill the Gumdrop Gauge up. This tracks how you’re going and how close you are to unlocking each bonus. You can unlock up to nine per day by filling up the sections. 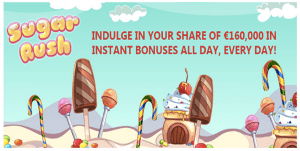 At the end of each day the Gumdrop Gauge is reset and the sugary treats are cleared out – only to be replenished the next day for a fresh batch of instant bonuses. This means you should try to claim as many bonuses as you can each day. 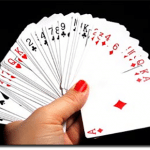 We show you the most efficient way to earn Rewards points for the Gauge with real money blackjack. All blackjack games, except for Classic Blackjack, require $20 to be wagered per Rewards point. 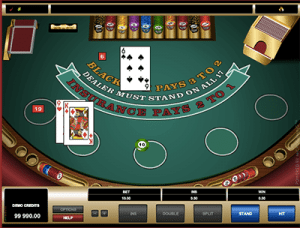 Classic Blackjack requires $100 to be wagered per Rewards point as players using the perfect basic strategy can get the house edge down to 0.13%. However, this shouldn’t deter you from playing the other variants if you can’t afford the $100 per point requirement on Classic Blackjack, as their house edge is still quite good. 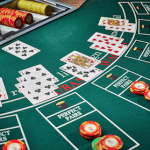 These titles offer an average house edge which is much better than land-based casinos, and on top of this you can win instant bonuses while playing too. If you want to earn Rewards points even quicker, combine playing real money 21 with the pokies as $1 on these type of casino games earns you one credit. Play Microgaming’s Hot Ink for the lowest house edge, from Microgaming’s pokies, of 2.5%. To earn your instant bonuses and play low house edge real money blackjack, head to Royal Vegas Casino and open an account.